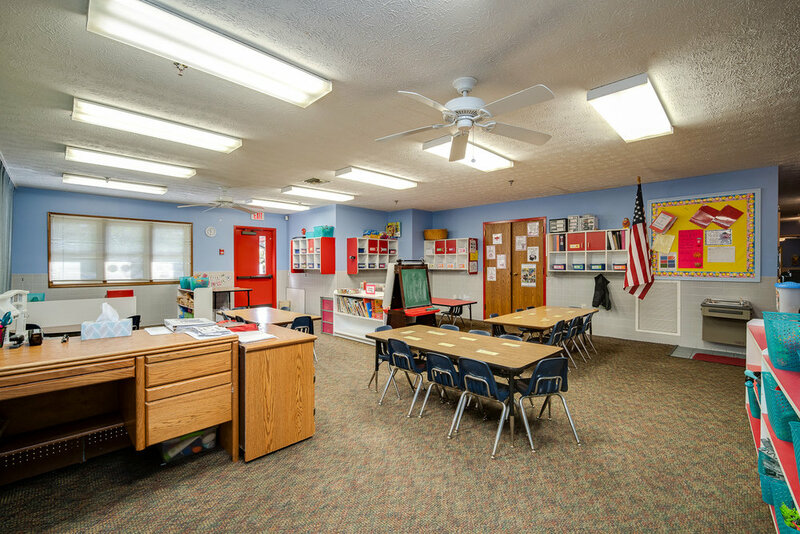 Below is a snapshot of our 8 different classrooms. 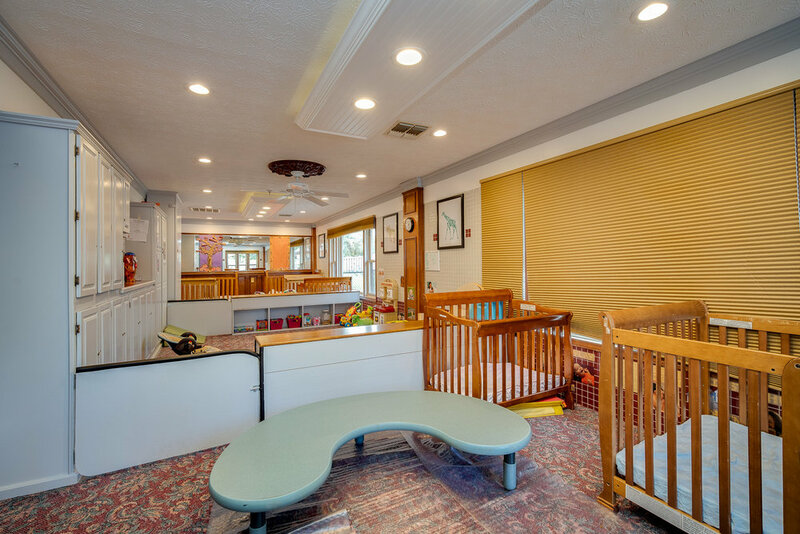 We accept 12 infants with two caregivers. 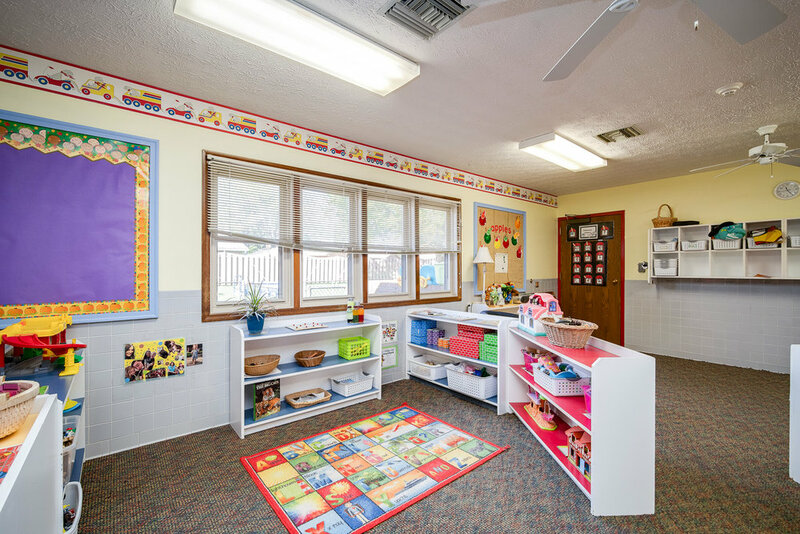 We keep very low ratios in our infant room so that the teachers can provide lots of individual attention. 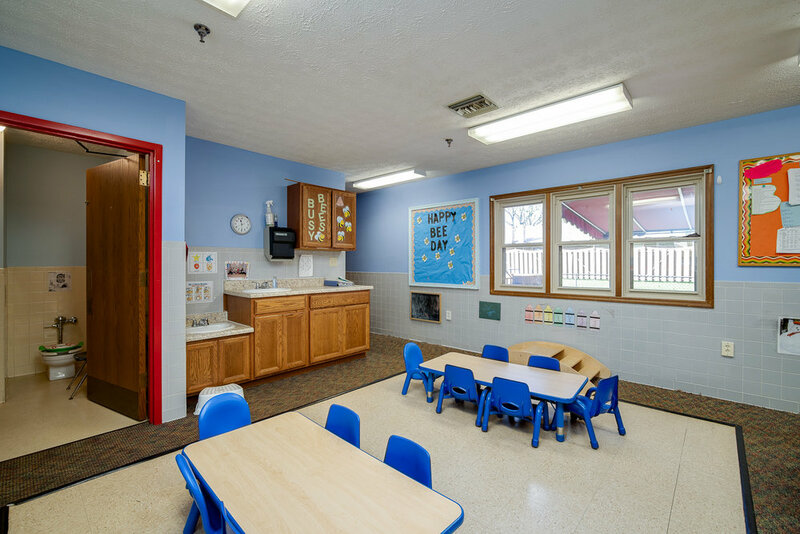 We accept 12 young toddlers (ages 16 months to 26 months) which is below state requirements to provide lots of individual attention to our VERY BUSY bees! 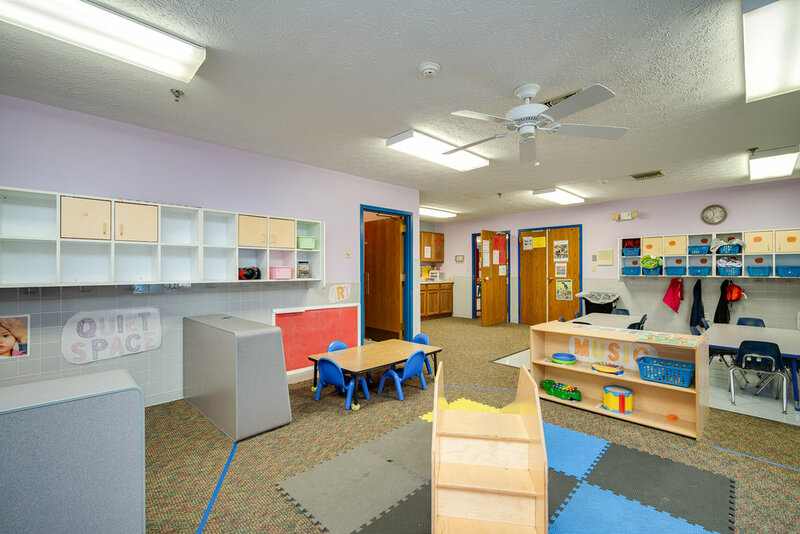 The Busy Bees have fun during their day with art activities, water play, dramatic play, blocks and other learning stations for them to explore. They also have two snacks,a warm lunch and a restful nap-time. We place a large emphasis on reading books, so that is a big part of their day as well. We accept 13 toddlers (ages 26-36 months) to explore new things! The Explorer room is our "potty training" room. 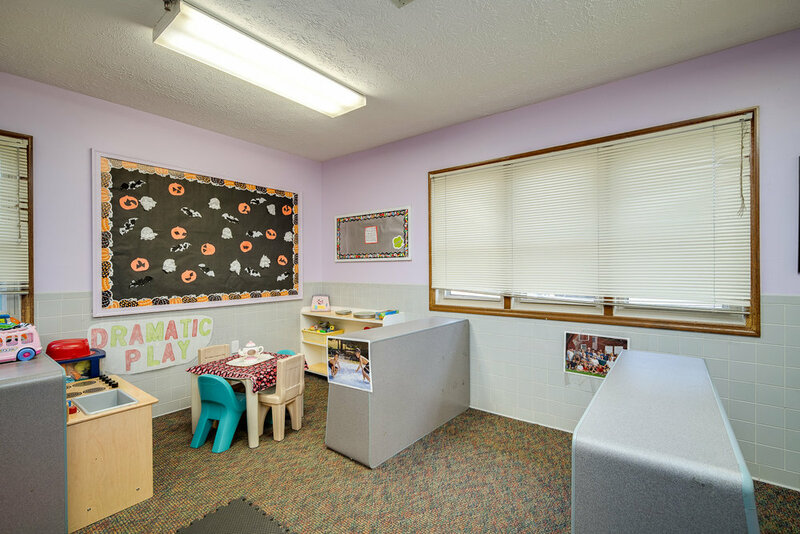 The Explorers have lots of educational activities, and social and self-help skills are a big part of the curriculum in this room. 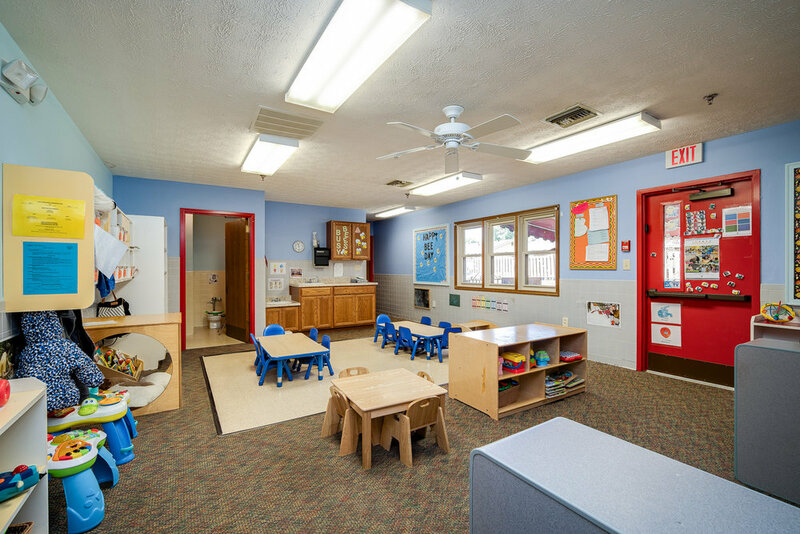 We accept 16 young three-year olds to engage in our well planned out pre-school program. The Crickets enjoy cooking activities, art, blocks, fine motor and gross motor opportunities as well as dramatic play and language skills. We accept 21 young four year olds. The Super Stars have a lot of fun. The children are learning through out the day with different stations and activities set up for them to discover new things. The Super Stars curriculum is rich in Math, Science, Literacy, Social Studies, Art and fine gross motor skills. We accept 24 children into our pre-k program better known as the Dinosaurs. 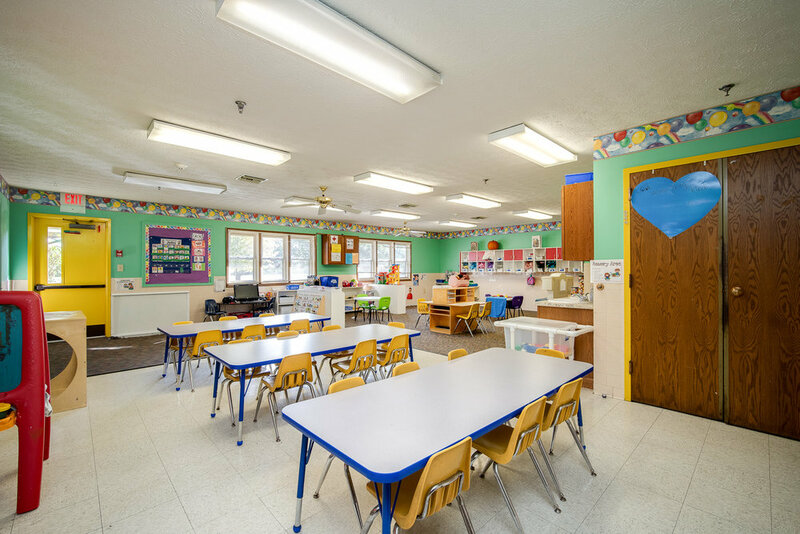 All of the children in the Dinosaur class are kindergarten eligible the following year The Dinosaur class is designed to help prepare the children for kindergarten both academically and socially. At the end of the school year we have a celebration to congratulate the Dinosaur class for completing their year of "kindergarten readiness." As of 2019-2020 we will be servicing these schools only: Fairbrook, Prass, Kennedy, Oakview, St. Charles, and PVN. We service AM Kindergarten or All Day Kindergarten only. 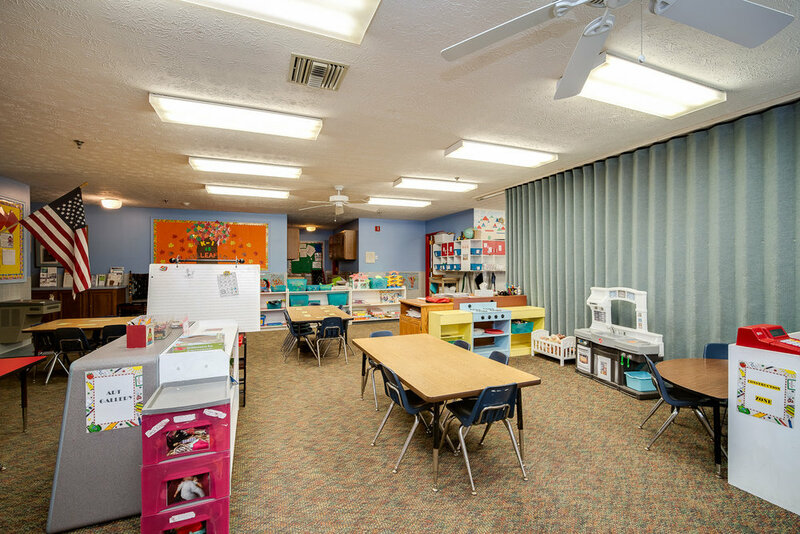 The kindergarteners are separated from the rest of the school-agers because of their unique developmental stage. 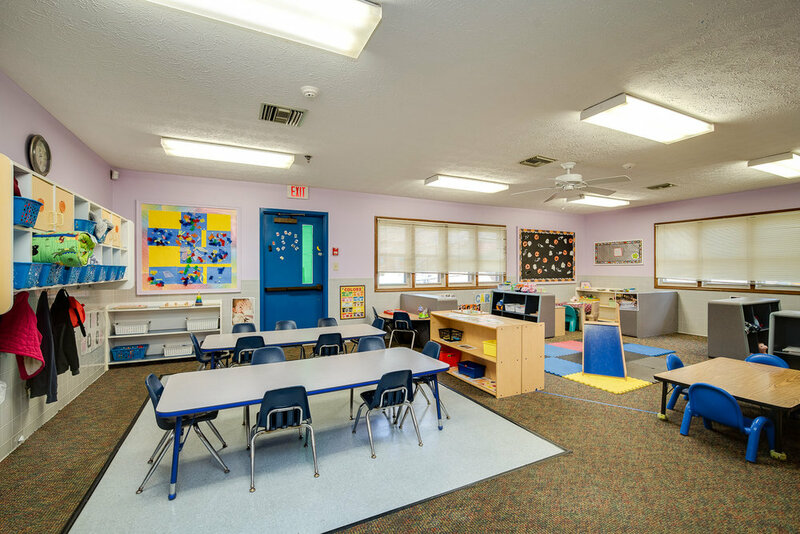 The kindergarten program is a mix of planned activities and relaxed activities to complement the child's day at kindergarten. The children especially love playing at Irelan Park located adjacent to the day care. As of 2019-2020 we will be servicing these schools only: Fairbrook, Prass, Kennedy, Oakview, St. Charles, and PVN. The children have an opportunity to work on homework, mingle with their friends and participate in activities planned out by the school-age teachers.